Base of Operations: (as Josh) Del Oro Bay; (as Max) The Behemoth, a mobile command unit. Powers/Abilities: Max is stronger and faster than normal humans. He heals faster than normal people and can use the nano-probes to alter his appearance, making him a master of disguise. He can even use them to become nearly invisible, making his skin act like a chameleon's. His sight and hearing have likewise been enhanced. He is dependent on "T" juice (trans-phasic energy) to keep the nanoprobes working properly, and his condition is constantly monitored remotely by Berto. History: Josh McGrath was a fairly average college student and sportsman. The only really unusual thing about him was that his father had been a secret agent, until he apparently died in an explosion during a mission when Josh was four. Since Josh's mother had drowned off the French coast two years earlier, Josh was brought up by his father's friend and fellow agent, Jefferson Smith. In spite of this abnormal upbringing, Josh was in no way special. However he had the misfortune to run foul of the villainous cyborg known as Psycho, at that point attempting to steal experimental nanoprobes. Psycho accidentally shattered the container carrying his prize, and the contents enveloped Josh, entering and altering his body. A medical examination confirmed that they could not be removed. So long as they kept working properly they did him no harm - indeed they enhanced his abilities to superhuman levels - but when they started to run out of charge, they began to kill him. Luckily it was discovered that it was possible to recharge them for brief periods with trans-phasic energy. Josh took the codename Max Steel and became an operative for his foster father's agency, N-Tek, a UN mandated anti-terrorist organisation that hid behind a front as an extreme sports company. 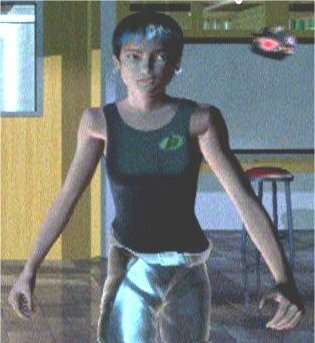 Assisted by fellow field agents Rachel Leeds and latterly Kat, and with tech support supplied by teen genius, Dr. Roberto "Berto" Martinez, Max is the agency's main weapon against threats such as the villainous cyborg Psycho. Josh meanwhile maintains a cover as an extreme sports athlete, all the while trying to hide his double life from his girlfriend Laura and best friend Pete. The show ran two short seasons, a total of 26 episodes, between February 2000 and April 2001, and used CGI to replace standard, hand-drawn artwork. It spawned a range of action figures and a computer game, both from Mattel. Several other computer games have followed, as well as two books, Going Turbo and Take it to the Max, both written by Tom Mason and illustrated by Dan Danko. Max's fellow operatives include his original partner Rachel Leeds, who was eventually (second season) promoted to be his "handler"; his new partner Kat; Berto, an 18 year old prodigy with a doctorate in nano-technology - through a bio-link he can see and hear what Max sees and hears, and he constantly monitors the condition of the nano-probes in Max' body. Collectively the group are known within the agency as Team Steel. In his civilian life he is dating Laura Chen, who finds his constant unexplained absences aggravating. His best friend is Pete Costas, who discovered his double identity during the second season of the show. Powers/Abilities: Skilled martial artist, extremely agile. History: Kat is Max Steel's second partner, argumentative and independent-minded. Comments: Voiced by Shannon Kenny. Powers/Abilities: Psycho has superhuman strength. History: How Psycho became the villainouis cyborg he is has yet to be revealed, but regardless, he is now one of the top "hired muscle" in the criminal underworld. 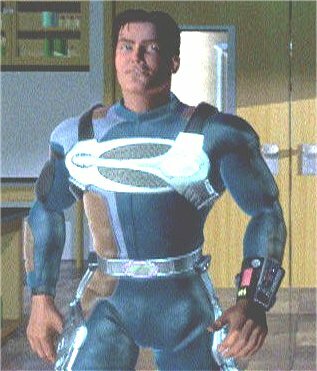 It was his break-in at N-Tek that led to the creation of Max Steel, who has become the biggest thorn in his side. Unlike most hired guns he is reasonably smart, and can make and execute plans himself. He is also sensible enough to know that sometimes you need to just kill the hero quickly and not waste time on elaborate death traps.